You don’t stay in a place nicknamed Tinseltown without expecting to see some dazzling displays for the holidays. West Hollywood and the greater L.A. area offer plenty of mind-blowing light and art installations to get you in the holiday spirit. Our favorite? Grand Park’s Winter Glow in downtown L.A. It may be a bit of a drive to get too, but the elaborate art displays, spanning the 12-acre park, are totally worth it! Adults and kids won’t be able to resist the interactive light-up installations, many of which guests can alter with just the touch of their fingers. It’s a unique twist on the usual displays this time of year and one you surely can’t miss. 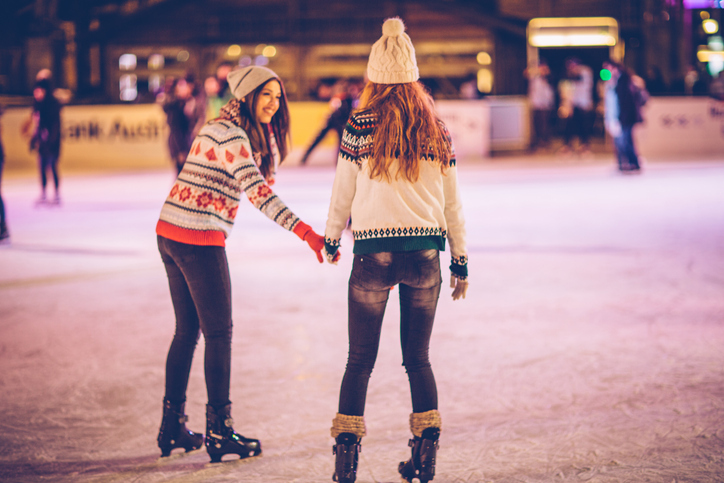 While you're in the area, head to Pershing Square’s Holiday Ice Skating Rink. Even in the heart of downtown L.A., there’s holiday fun to be had under the stars!